Pros: This software is easy to use and it an effective to for monitoring and managing reviews as well as sharing data with other departments and the executive office. The customer service team is incredibly helpful and tries to make the process as easy to possible if you are having issues. 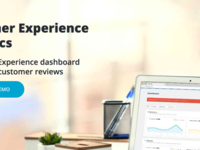 It is a much more effective tool than responding to reviews on the individual platform as it is more intuitive and can bring multiple locations and review sites into one easy to use dashboard. It also collects historical data giving you the best picture possible of your reviews and ratings. Cons: While this product is easy to use, there are some down falls. If someone updates a review after it has been posted, Review Tracker does not bring in the updates unless you remove and re add the account. We can't respond to Facebook and TripAdvisor reviews directly from the platform, however, they do provide a link so you can quickly go to the review on the proper site. They do not currently allow you to read and respond to Facebook recommendations, however, they are working on adding this to the platform. Overall: I love Review Tracker. We had to cancel our subscription to this and other social tools at one point and it is the software I missed the most. It streamlines my day to day responsibilities and allows me to report to my team easily and effectively with pre-designed reports that provide all of the necessary information. My colleagues who consume the reports, find them easy to use and allows them to better understand how their locations are operating. Thank you so much for the great review. It sounds like we were able to provide you and your team a lot of value with the monitoring, reporting and tools of the platform. We hope to welcome you back as a customer at some point in the future, as we miss you too! In terms of Facebook, we have rolled out new functionality to allow you to respond to reviews in our dashboard and we also collect all "recommendations" as well. We hope you come back and try us again, thank you for your business. Pros: The two things I appreciate most about review tracker are one, a single place that collects the reviews I need to respond to and share with my team and two, easy to produce metrics that I can share with my team so we can discuss areas of opportunity and successes. Cons: While Google reviews tend to populate very fast, reviews from other sites, especially Yelp take longer. When a review is one that I feel needs immediate attention, I tend to address it via my email alert as I have missed responding in a timely manner waiting on review tracker to update with the information. Overall: Having researched a few other platforms, I have come to the conclusion that it would take me a lot to switch. This site gives me more tools than its competition and at a lower price. It is without question a great value for what you get. Pros: I love that it pulls everything together into one place! We don't have to track down reviews from all over the web, and I LOVE that I can respond/tag reviews from the platform. Wish Yelp would be incorporated, but I know Yelp's a pain! Just glad we didn't loose access to the reviews from them. Cons: I wish it would take OUT all the rating/systems in place (or have an option to take out) the response time. At our Mothership Level, we respond to all our reviews, and we only respond to 1-3 stars. It's really annoying that it throws off the rest of the ranking data. Would love to see an option to opt out of this! Also, would be great if we could upload negative emails (maybe similar to Facebook, on a 1-5 scale) to really get everything in to place! Overall: I do enjoy review trackers more than I get frustrated with it and I would recommend it. Plus, the support staff is super helpful, responds quickly, and is open to ideas and suggestions! Kelcie- thank you so much for the great review, we really apprechiate your feedback. I spoke with our CS and product team, it sounds like they have already connected with you to learn more about how you use our product and how we can improve the experience for you. Thank you so much for your business and support. You make it possible for us to build great tools and software. Thank you. Pros: We can easily keep tabs on the reviews that are submitted for our various company locations. It track more than just Facebook and Google, too. And the custom reporting alerts are really helpful too. Cons: It is pretty pricey but is still a helpful tool for us. Overall: We like review trackers, but we have also recently started using some other tools that also include review tracking. We plan to evaluate those before renewing our ReviewTrackers contract. Thank you for sharing your review with the Capterra community. I am glad that ReviewTrackers is bringing value to your company as you look to track and manage your online reviews. You may already know this, but next year we're rolling out new tools and feature enhancements designed to help you further strengthen your business reputation and make your workflow even more efficient than ever. I think you'll love trying those out. 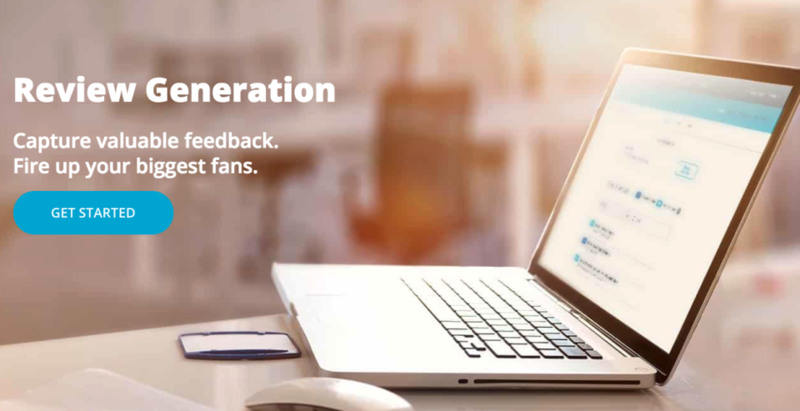 Thanks again for your feedback, and let us know if you have suggestions or ideas on how ReviewTrackers can bring even more value to your business. Review Trackers Keeps Us on Track! Pros: We really appreciate the way Review Trackers organizes all of our online reviews into one easy-to-access location. It allows us to free up our time to focus on caring for our guests instead of hunting down our reviews. Cons: When we first started using the software, it took a bit of time to learn the interface. Yet they have made many updates and have online training videos to get the most use from Review Trackers. Overall: We love Review Trackers!! Our customer service rep and her team have been so accommodating to our needs and have helped us with any question or concerns that have arisen. We love the new updates to the interface and look forward to a long relationship with their company. Pros: It saves us a lot of time! 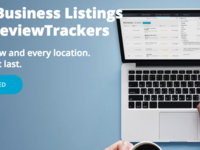 Instead of having to look at tons of different review sites for multiple locations, it all lives conveniently in the ReviewTrackers dashboard which is very easy to use. Cons: They've recently made a change where you have to email them to update links, which is not very convenient as sometimes they add incorrect links to begin with. They respond quickly, but I prefer this functionality without the additional step. Phenomenal product and an even better team behind the scenes supporting it and YOU. Pros: ReviewTrackers is a very well built platform that is easy to use. 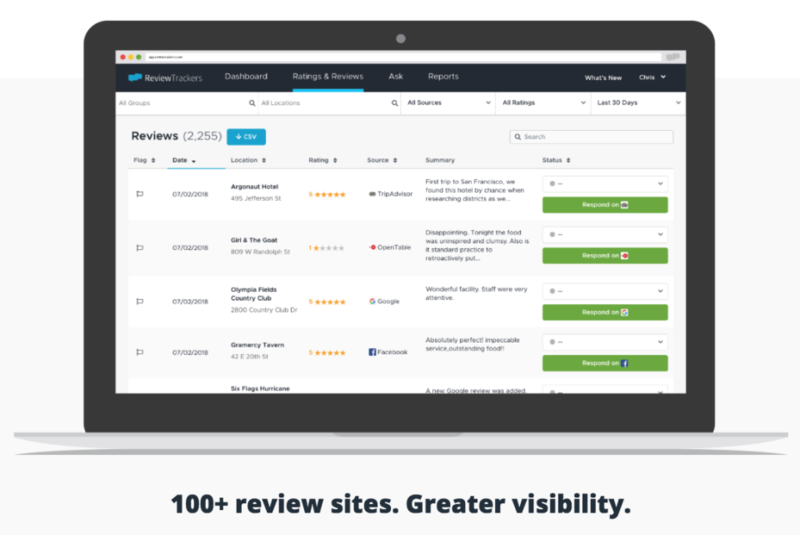 I use ReviewTrackers on a daily basis and benefit from it tremendously. It takes all the hard work out of monitoring and requesting reviews, leaving you time to analyze and make the most of the data and insight provided! Highly recommend. Cons: I can't think of anything I dislike or that truly needs improvement. I think additional data on the dashboard would be helpful. Similar to "Trending Topics", it would be nice to have other fun, measurable, visual elements to reference and report on. Overall: We heavily rely on this software to monitor reviews for our company. We are immediately notified via ReviewTrackers when something is posted online so we're able to jump right on it. We have all the information in one place for multiple office locations and brands - it's wonderfully convenient. A great way to stay up to date! Pros: The ease of organizing where the reviews are coming from for each property that we manage and being able to respond directly from the software. Cons: Some of the numbers are a little difficult to understand and aren't necessarily updated in real time. Overall: It is a been a great benefit to our business and being able to respond to people immediately. First thank you so much for being a customer and for your fantastic review. We are so happy to hear that you are getting great value from ReviewTrackers. I have already shared your feedback with our product team as we are constantly working to improve our product. If there is anything else that you would like to mention or anything that you may need help with, please don't hesitate to let us know. Every single day we work hard as a team to deliver crazy value to our customers like you Wes, to help them manage their online reviews with ReviewTrackers. Thank you for being a customer and your support. 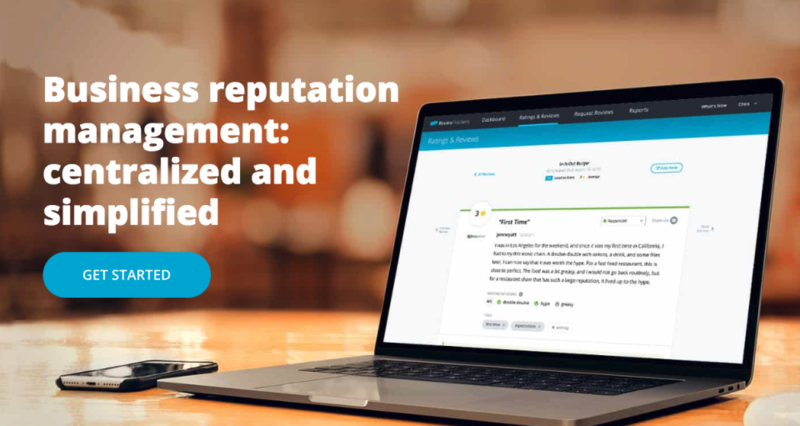 ReviewTrackers has been critical to the success of our reputation management strategy. Pros: Easy to use. Robust without being overwhelming. Customer support is unmatched. Never run into any technical problems. The ReviewTrackers team is also enhancing their product/service offerings and the site functionality so it just keeps getting better. Cons: A face lift of the site might be nice, visually speaking. Maybe updating the color scheme or making it a little easier on the eyes. I don't particular love when sites revamp and you can't find anything but at the same time it might be refreshing if they redesigned it a little bit. Pros: It's very easy to use and covers all of the social sites we could think of wanting. Cons: There's some functionality of editing URLs ourselves that is no longer available. Overall: Support is always quick to respond when needed. Pros: Easy of obtaining reviews in real time and the ease of replying. Always open to suggestions from a company point of view with suggested changes. Overall: Overall very happy with Review Trackers. Thank you so much for the review and being a ReviewTrackers customer. I am happy to hear you apprechiate how easy to use the tool is and our openness for feedback to improve the product. We are working with TripAdvisor to expand the functionality we have with them and hope to offer that in the future. Thanks again for your review. -Trending keywords and platforms, a snapshot of performances, current month performance vs. previous, etc. Cons: Custom reporting and additional competitors that match our industry. However, they are constantly rolling out new reporting and engaging the customer on what WE want to increase company-specific benchmarks. Also, they haven't yet overpromised and underdelivered. Overall: Team is incredibly responsive. As platforms such as Facebook, Google and Yelp continue to make changes to their policies (which feels like every day) their ability to clearly explain and flexibility of their own platform is very helpful to continue to grow our brand online. Pros: Review Trackers delivers me daily insight of my online reviews. The daily email is my favorite tool. Cons: I'm happy with the whole product. There are no issues I have. Overall: Very easy to use. Support has always been professional. We use review trackers to consolidate our online reviews and to keep everyone in the loop. Pros: I like the ability to get reporting to our team on a daily or weekly basis, depending on what they prefer. I do not have to go to each social platform to assess how we are doing . I feel, that for what we are using it for, it really serves our purpose. Cons: I wish that it would track Angie's List. I also wish that you could respond from the review tracker platform and be able to see the communication from start to finish on particular reviews. When I go on review tracker and it says"respond on google" when I click that it takes me to Google maps. It is definitely not easy to respond to a review. Overall: The ability to get a broad look at our online reviews in one spot. Pros: ReviewTrackers is easy to use and cost effective. Tons of great features and mobile app to see your reviews and get notifications on the go. Cons: The auto response features are hard to use sometimes. Overall: We use it to track and resond to hundreds of reviews a month and it is a great tool overall. Pros: The sentiment breakdown, the ability to organize reviews for easy response. Cons: Which I could look at sentiment by restaurant and track specific reviews. Wish there was less emphasis on response time, or the ability to turn it off. Our operators don't care about that at all. Overall: Huge time saver, clean and easy to use. Cons: No cons at this time. Everything is to my satisfaction. Comments: We were spending a lot of time trying to manually track our online reviews through the myriad of individual review website, but found it to be exhausting and ultimately ineffective. We tried a number of review aggregation websites, but Review Trackers far exceeded the rest. Most made me manually link each review site one by one, but Review Tracker just took our name and two days later send me a link to our fully completed site. Instantly, and for the first time ever, we had a graph showing us our trends both in average reviews and total reviews per month. We had detailed monthly reports which I am now able to distribute to my team, and we now get alerts from any of dozens of review websites the minute they are submitted. For our purposes, this program was exactly what we wanted and we couldn't be more pleased. I also want to say that there service has been spectacular. Thanks for the wonderful feedback Austin! We strive to ensure our service meets all of our customer's expectations from day 1. We're glad that our review aggregation was the solution you were looking for, its exactly why we started ReviewTrackers from the beginning. We appreciate you taking the time give us a review! I use this software to track multiple reviews for companies. Pros: The ease of seeing all of my client's reviews by dates. I like being able to set up the timeline and being able to respond directly from within the software. Cons: Sometimes it can be difficult to navigate through the pages. It just slows my process a little bit but I am not too worried about it. Pros: Allows our restaurant to easily track customer reviews from numerous online review sites. We're able to see a quick summary/overview of our current standings on all of the most important platforms as well. Cons: Little pricy for us compared to some of the other similar services. However, Review Trackers integrate with quite a few more platforms than some of the other services I've used. Pros: When using ReviewTrackers, it's easy to pull necessary data to ensure that we can look at reviews across the board from all of our properties. Cons: There's nothing that I have found that I dislike or like the least about ReviewTrackers. Cons: Would love "text analysis" other than "word cloud"
Ann- thank you so much for your review and continued feedback. It has helped us to continually deliver an awesome product to you and our other customers. We are proud to call you a customer. Thank you again for your support. User Friendly with Superior Customer Service - We Love Our ReviewTrackers! Comments: I have been using the ReviewTrackers platform for over two years and I am happy to share that they are awesome. Their support team is literally called "customer happiness." Updates to the product on a regular basis. Yes it has had some bugs, but they are responsive to make sure it's fixed right away. Reviews has become HUGE part to marketing my business in the past few years. They have helped me manage the online reviews as they have grown from a dozen to now hundreds of reviews for my company. Online reviews drive almost all of our new customers and sales. I have been able to cut back on almost all my advertising and now focus all my efforts on getting new reviews on the ReviewTrackers platform. I can't recommend them enough. Thank you Brent for your review, feedback and business. Awesome customers like you keep us motivated to keep delivering a great product! Cons: I have been using the system since it's inception and don't have any cons. No review goes unseen! Find out the honest truth about how your business is doing! Pros: I love ReviewTrackers because I no longer have to go to multiple sites to receive insight on how our business is doing. Being in marketing and property management, I am able to see first-hand what we need to improve on and what we need to keep doing! Without the software, you may miss multiple reviews that may be crucial to your business! Overall: Let's be honest, the truth can hurt. Not everyone is always pleased with your business, because well some people can't be pleased. If you can handle receiving the negative reviews, you will be fine! It just shows what you may need to work on! Service is a time saver! Comments: This service is a time saver. We have all of our reviews in one location which keeps us from scouring the internet's many review sites to find our good and negative reviews. Having the review alerts for our negative reviews gives our company the opportunity to reach out to our guests and make any negative experience into a positive one. I personally like it because it gives me the chance to create lasting impressions with our guests by really providing great customer service. Letting our guests know that their concerns matter and their feedback is valued. Proud to have you as a customer the past few years. 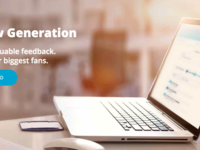 I am very happy to hear the ReviewTrackers product has not only helped you saving a ton of time but also empowered you to deliver great customer service. Thank you for your feedback. Life for the studio just got so much easier! Pros: I am not the owner, but I do a lot of social media management and website help (part time) for my Yoga Studio. Reviews are huge for a small, boutique business like this and feedback is highly valued. Being able to manage and analyze reviews from multiple different platforms has made my life so much easier. Cons: Haven't been using this software for long enough to have any cons. I have not had a reason to reach out to customer service at all. Pros: I love this web-based software that I can use to monitor all online channels reviews in one place. It provides great analytic reports and also a handy widget to display on my own website. It included everything I need for reputation management. Cons: I really don't have anything bad to say about ReviewTrackers. 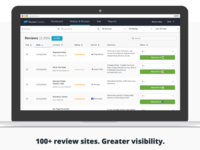 Pros: Review Trackers makes monitoring, responding to, and reporting on reviews much easier. It saves me time! Cons: Adding review sites to track could be a little more intuitive - but once you know how to do it for each platform, it's easy. Comments: I used this to try to get my clients to give me some reviews. The ease and convenience to the customer is what makes this really nice. The customer service and support at Review Trackers is super, as well. I called in a few times before I was 100% comfortable with the site and they were cheerful, helpful and sincerely cared about my success with review trackers. Thanks Kristine! We're happy your customers had an easy time with our software, we strive to make it as user-friendly as possible. Thanks for the kind words, and good luck with your continued success! Review Trackers is extremely helpful in generating reviews! Comments: Review Trackers is easy and helpful in retrieving reviews. Emily Carl is very supportive and helpful with the software and any questions we may have she's done an amazing job working with us. Overall Review Trackers is an excellent software to partner with. Very much recommended. Thanks Jessica! We're happy you had an easy time with our software, we strive to make it as user-friendly as possible. We know how important online reviews are, so thanks for taking the time to write such a nice one for us! Pros: It was fairly easy to use and the customer service representatives were friendly. The process was fairly self-explanatory. Cons: After using this nothing really changed. We did not see an improvement in online reviews. For the money we did not see any return. A great time-saver and online reputation management tool! 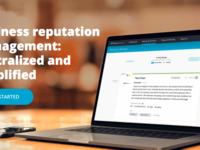 Comments: Review Trackers has proven invaluable for its ease of use, alert notifications of new reviews, and the customer support I've received when I've had questions. The Request Reviews tool has already helped us increase the number of reviews for our physicians and overall star ratings. Thank you very much for your review and feedback. We are very happy to hear that ReviewTrackersl has helped your physicians generate new reviews and overall rating. Keep up the good work! Comments: Sending Emails was pretty easy and user friendly. I had some problems, but Emily was able fix the problem really quick for me to send out more reviews. Emily was extremely helpful and she was very quick to respond to me after I would email her. Thanks for the review Hailey! We're happy to hear that you thought sending emails was easy, and Emily was helpful! We take great pride in helping businesses like yours improve their online reviews. Pros: This software was really helpful and easy to use and we liked being able to have a tool to gauge our online presence. Cons: We ultimately ended up going with another product because of price but felt that this software did meet our needs. Comments: We worked with Emily Carl and we found that our experience was truly wonderful. They have exceptional customer service and we are so glad to be working with them. Thanks Camilla, we are absolutely delighted to hear about your wonderful experiences with Emily. We also think she is pretty fantastic. We are proud to have you as a customer and glad we can help you grow your online reviews. Comments: The tool is extremely well organized and has been instrumental in our online monitoring efforts. The solicitation options are also very easy to use. Comments: Nothing to complain about, they alert us when we get new reviews and are very helpful if we have any questions! Review Trackers is a great tool, and their team is great to work with! Comments: I can't give enough thanks to Crystal! She offers amazing support for Review Trackers, and is never afraid to step in and help me out! Thanks Crystal and thanks to your entire team! Ginny thank you very much for your kind words. We agree with you 100% that Crystal is pretty awesome. Your feedback and business means a lot to us. Comments: Easy way to get reviews from clients, which help boost your Google rankings. Thanks Nathan! Glad to see we had an impact on improving your Google rankings, that is one of the coolest features of our platform. We know how important online reviews are, so thanks for taking the time to write such a nice one for us! Great for the auto industry! Comments: Excellent dashboard. Great information and a huge time saver. A great product for a very reasonable price. Highly recommended! Thanks Melissa, we are happy to hear we are saving you time. We know how important online reviews are, so thanks for taking the time to write such a great one for us! Comments: Excellent service. Emily and the team at Review Trackers really helped me grow my online presence. I highly recommend them. Thanks for the review Will! We love hearing that our customers are happy and well on their way to a successful online presence. Comments: A great product, great information and fantastic customer service. ReviewTrackers has been a great asset to our company and I highly recommend them. Thanks Vince for your feedback and business. Comments: We love ReviewTrackers because it is very reliable and on-target. Thanks Steve, for the feedback and review on your experience with ReviewTrackers.